Fancy a Pint? Or Maybe a Glass of Vino? 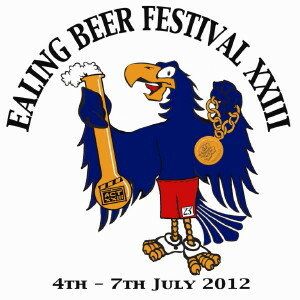 Possibly the longest bar in the country, the start of the London City of Beer initiative and the return of English wines, make the 23rd Ealing Beer Festival a truly Olympian event. The festival held between 4th and 7th July in the magnificent surrounds of Walpole Park, will have all the beer being served from one 300 ft (91m) bar for the first time. ''Since moving to Walpole Park we have been the victims of our own success. Once again 200 real ales from all parts of the country will be the main attraction. In addition, there will be a good range of traditional ciders and perries together with a selection of foreign beers mostly from Belgium, Germany and the Netherlands. So what better place to launch London City of Beer? This initiative is being coordinated by the London branches of CAMRA (Campaign for Real Ale) to promote beer and pubs to visitors to London throughout the summer. There are brewery tours, pub crawls, food and beer events as well as beer festivals of course. But despite the fact that CAMRA believes there is a beer to suit most palates, the festival knows it can't persuade everyone. So new for 2012 will be an assortment of English wines. sessions with the Weird Beard and Ellenberg Brewery – both setting up in Hanwell later this year.